The EU foreign affairs department (EEAS) claims it has consulted Polisario on the trade deal for Western Sahara that it has negotiated with Morocco. But the email correspondence between Polisario and the EEAS documents that the Commission's claim is a lie. Western Sahara Resource Watch (WSRW) can today present the email correspondence between the Polisario Front and the European Commission which led up to an important 5 February 2018 meeting. Download that email exchange here. An English synopsis of the French correspondence is included below. The correspondence is crucial: it documents that the European Commission is speaking untruly in documents that it circulated to the EU Member States earlier this week. Polisario Front - the UN-recognised representative of the people of Western Sahara - is one of 112 groups and individuals that EU name-drops as 'consulted' in the documentation they have sent to member states. But of those, 94 have never taken part in a consultation. The European Commission on 11 June sent its proposal to amend the Trade Protocols with Morocco for approval to the EU Member States and the EU Parliament. 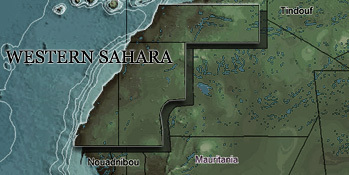 The purpose of the amendment operation is to extend the geographical scope of the trade deal with Morocco to occupied Western Sahara, and comes as a result of the Court of Justice of the EU ruling of December 2016 that no EU trade or association agreement with Morocco could be applied to Western Sahara, unless the people of the territory would consent thereto. However, since the beginning of the process, the Commission has made no effort to seek the consent of the people of Western Sahara. At this point, the amendment suggestion therefore clearly violates the CJEU judgment. In stead, the Commission has engaged in what they refer to as a "consultation exercise" - which cannot be seen as equal to a consent. In this process - and here comes the controversy - the Commission claims to have 'consulted' Polisario. "The Commission and the EEAS consulted a broad range of Saharawi civil society organisations, MPs, economic operators and other organisations, including the Polisario Front", and "The Polisario Front, which was also consulted...", the EEAS writes. But the correspondence WSRW today presents, documents that the Commission did not even do that. Already on 24 May, WSRW wrote that the informal EU-Polisario meeting was being misused by the Commission to give an impression vis-à-vis the EU Member States that Polisario had taken part in the process. It has not. "Nothing in the emails of the EEAS indicates that they were in the process of conducting consultations on the proposed trade deal for Western Sahara. The meeting had been requested by the Polisario Front, and the EEAS has opportunistically seized that request to suit its own purposes: making it look as if the representation of the people of Western Sahara has taken part in their consultation process. This is a blatant lie", says Sara Eyckmans of Western Sahara Resource Watch. The correspondence before the meeting proves that Polisario could not have known about the EEAS' true intentions. In fact, the correspondence documents how the meeting took place at the initiative of Polisario, not the EU. And the initiative was an invitation from Polisario to engage the EU in negotiations following the Court ruling that no trade with Western Sahara could be organised through a deal with Morocco. On 25 January 2018, the Polisario Representative to the EU, Mr Mohamed Sidati, sent a letter to the office of Federica Mogherini - the EU's foreign affairs chief. In it, Mr Sidati reiterates the Polisario's readiness to commence negotiations with the EU, in view of legal proceedings at the level of the EU Court of Justice that had clarified Morocco's lack of legal mandate with regard to Western Sahara. "In the hope that the European Commission shares our spirit [of openness], I leave it to your services to contact me for this purpose", the letter concludes. Replying on behalf of Mrs Mogherini on 30 January 2018, is Vincent Piket, head of the EEAS' Maghreb Division. He invites Mr Sidati to "an informal meeting on 5 February at 15.00, that will allow us to explore issues of shared interest". "The prospects of resuming the UN process concerning Western Sahara and the renewal of the European Union's commitment to Saharawi refugees are all developments that could usefully, as was the case in the past, be the subject of conversations between us. I will also be ready to provide you with any information on the issues raised in your various letters concerning the follow-up given by the European institutions to the judgment of the Court of Justice of the European Union on the agricultural agreement between the EU and Morocco", Mr Piket writes. Two days later, on 1 February, Mr Sidati confirms his presence at the proposed date, but stresses that since the Commission has apparently already agreed on a new agreement with Morocco, there remains but one question for discussion: what measures are taken to ensure the non-application of that agreement to Western Sahara. The final email in this thread prior to the actual meeting comes from Mr Piket, who on 2 February thanks Mr Sidati for his favorable response, adding that it "also raises some formal questions of which the response would go far beyond the scope of this resumption of contact. Among other issues, I note your interest in referring to the follow-up given to the judgment of the CJEU of 21 December 2016". From what WSRW understands, Polisario and the EEAS had at the meeting of 5 February agreed to not announce their resumption of talks anywhere. Accordingly, no press release was issued by the two parties after the meeting - their first talk since the Court of Justice judgment. However, it is rumoured that the EEAS told third parties about the meeting, thus prompting Polisario to issue a press release on 9 February. It can be added, that the lie about Polisario's participation in a consultation has been used elsewhere. First, Polisario has been mentioned as a consulted stakeholder in a brief sent to EU parliamentarians. Second, it has been used by the EEAS in an attempt to deceive Saharawi civil society. Two Saharawi groups positive to self-determination were invited to the "consultation". One of them received an invitation letter from the Commission stating that the EU was engaged in a "consultation with a widest possible selection of parties [...] and it is in this sort of exchange of views whereto you are invited to take place, in the same manner as we have already undertaken discussions with Front Polisario on 5 February in Brussels". The two groups spotted the EU's lie, and did not take part in a consultation which had not achieved consent first from their representatives. The EU could not have cared less: the two latter Saharawi groups, as well as Polisario and Western Sahara Resource Watch, appear as 'consulted stakeholders' in the process. In total 94 of the 113 groups that the EU mentions in its final consultation report have never met the EU for consultation. That includes Western Sahara Resource Watch.